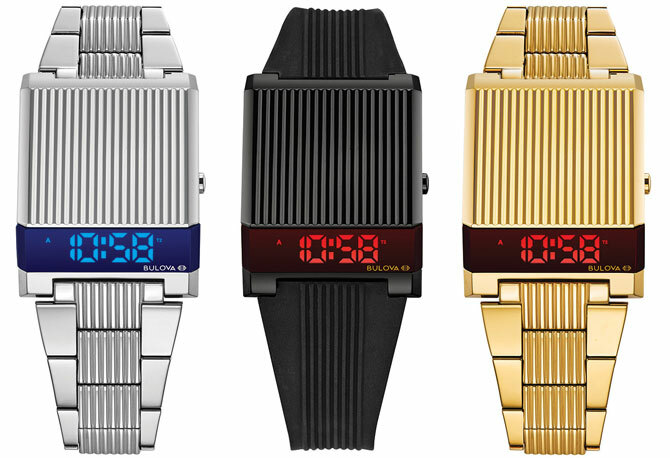 If you like the idea of something authentically space age on your wrist, then do check out the return of the 1970s Bulova Computron LED watch. Yes, an archive watch reissue, which isn’t unusual in itself. I’ve featured the likes of the Steve McQueen-favoured Tag Heuer Monaco and the Timex Mod Watch in the past to name just a couple of examples. But digital watches don’t tend to get the same treatment. They are unusual, quirky and very much of their era. But they are sought-after and good examples can fetch a lot of money. 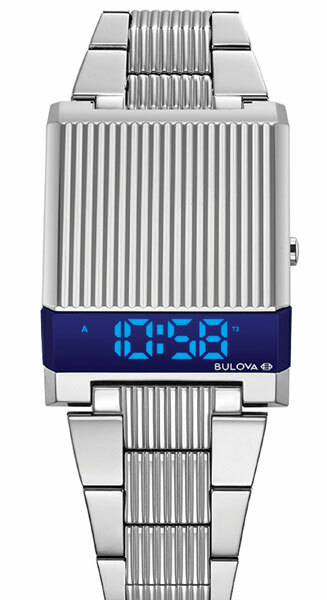 So it might be shrewd move for Bulova to go back into its archive. 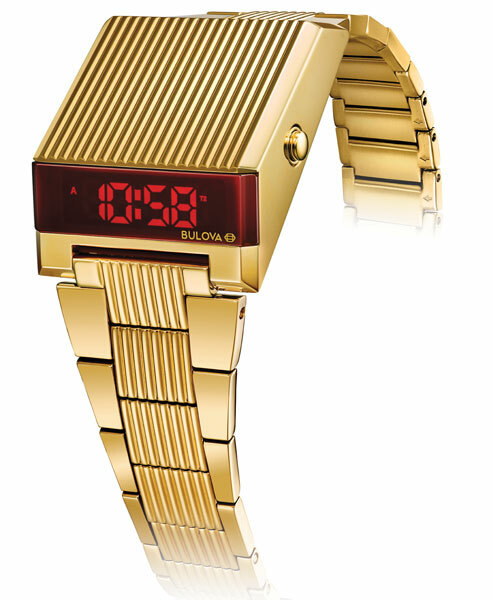 It has brought back what was a top-end timepiece in its day and still looks very much of its 1970s era today, especially if you go for the gold-plated version or the stainless steel option. The black finish with rubber strap is appealing but probably more of a contemporary reworking. The design is unashamedly quirky, but not without purpose. The rectangular case has an LED screen on the side, which means you can read it without having to turn your wrist. Inside, you have a quartz movement, a battery with up to two years of power, an LED display and a dual time-zone option as well as month/date/day/seconds functionality. 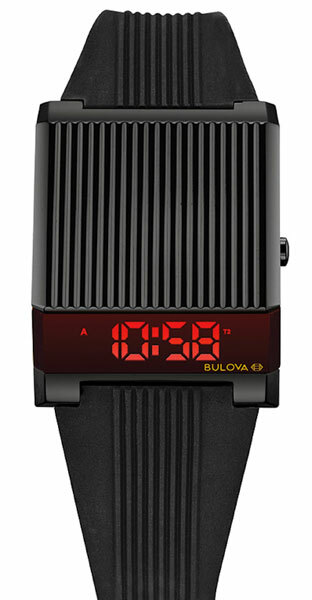 If you want a Bulova Computron LED watch, you will have to wait until later this year to get one. Pricing is likely to be around £395 for the gold-plated watch and £295 for the silver and black versions, but that is subject to change. Expect the Watch Shop to stock it when it lands. Previous Post Adidas Vienna City Series trainers reissue at Size?